1st floor and 2nd floor is bedroom luxury systems to systems large and airy windows. Level 2 also includes a large area for the restaurant and bar, which serves as a party with karaoke. Level 3 services are terrace – Sundeck very wide, with both the facilities covered conducive to rest and relaxation, sightseeing and taking pictures of tourists. 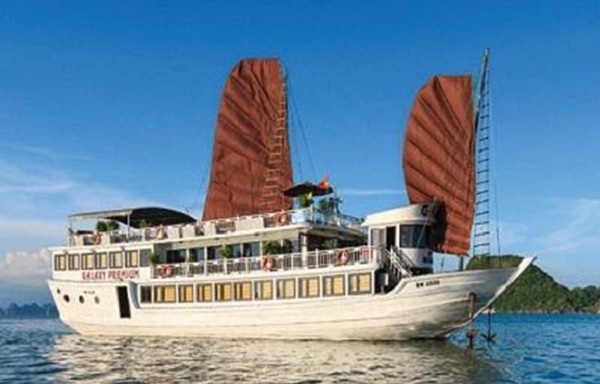 With 04 newly built boat, Bai Tho is one of the enterprises with the number of ships most overnight in Halong. 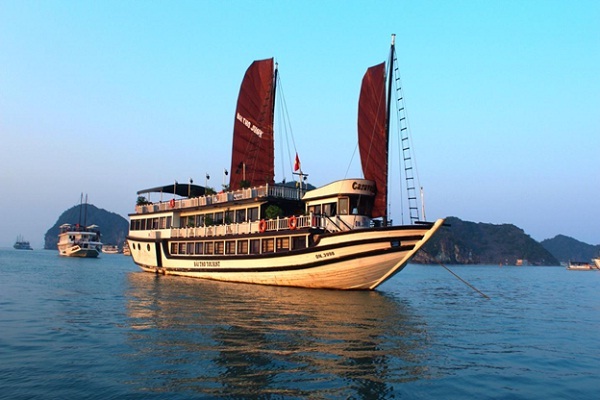 Bai Tho Cruise – the first choice for visitors to explore the World Heritage Halong Bay. 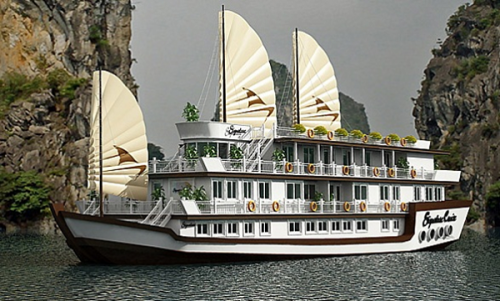 Alova Gold cruise built 3 floors including 9 luxury cabins are decorated in a classic Asian style is the best choice to explore Halong Bay. Given eyes to win 11, 2011, serving Alova Gold Cruise tourists are couples, families and groups visiting Halong Bay to explore new experiences across the bay to save the night and participate in activities leisure on board. 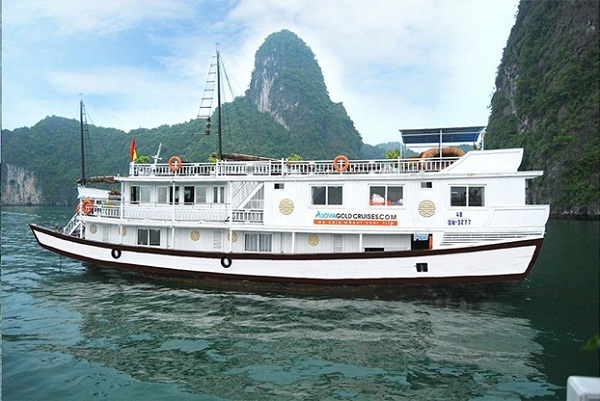 With a team captain, crew and service personnel have years of experience serving tourists visit Halong Bay and stay on board, to Alova Gold cruise, you will have a fascinating trip and perfect taste. Aclass Opera Cruise offers a journey to experience the traditional oriental style. Our crew will provide you with first class service throughout your journey. That will make your holiday experience a truly unique and unforgettable. The yacht has 21 spacious cabins, fully equipped with luxury private bathroom, large terrace, elegant dining room, a lounge bar, spa services, massages, boating and entertaining games for. Opera yacht cruise along Aclass place ensures a fascinating experience for you. Large bathroom, enclosed marble decorations, hot and cold shower, glass shower enclosures, shower tree, hair dryer, luxury towels. 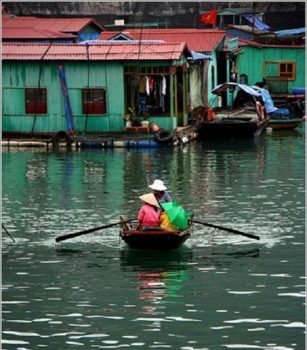 Traveling to Halong Bay by cruise will bring you an unique feeling. 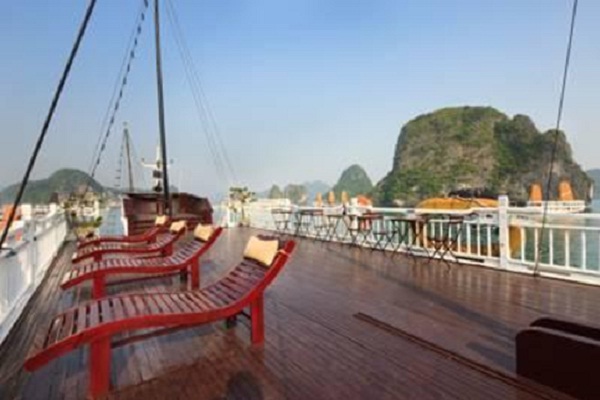 Tags: Halong Bay by cruises.